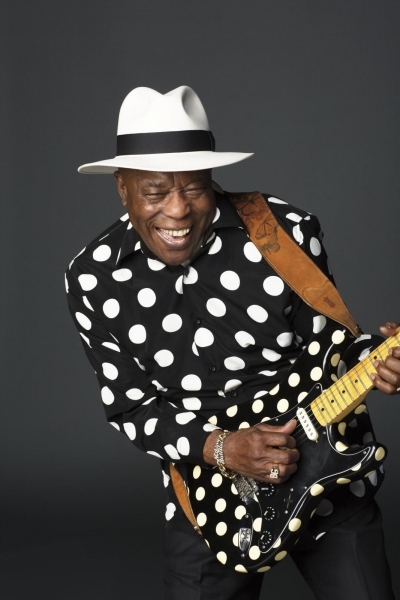 For a long time now, he’s been known as one of the most influential blues musicians on the planet. Guitar icons like Jimi Hendrix, Eric Clapton and Stevie Ray Vaughan were inspired and educated by him, and Clapton has gone so far as to call him ‘the greatest living guitarist’. 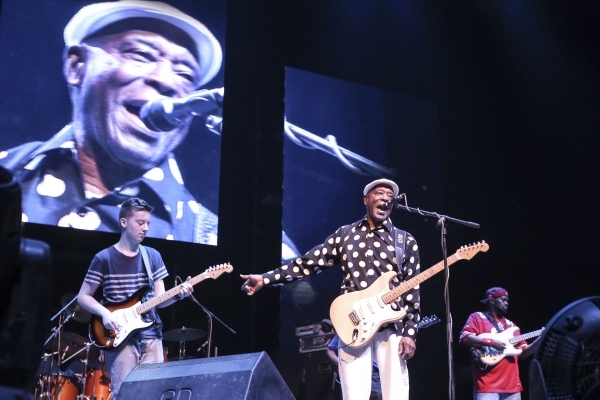 These words come back to me as I watch Buddy Guy – recipient of the Lifetime Achievement Award at this year’s Grammy Awards – own the stage at the Mahindra Blues Festival 2015, and I don’t doubt them for a second. 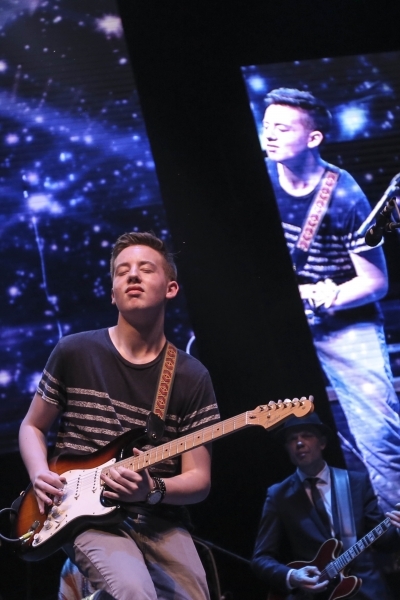 Quinn Sullivan played an hour-long opening set before introducing his idol and guru, and the 15-year-old couldn’t have given Buddy Guy a better introduction. The slightly awkward teenager turned into a blazing, confident guitar hero on stage…convincing everyone present that he is probably the most gifted young bluesman anywhere today. Sullivan got his first guitar when he was just three years old, and he hasn’t looked back since. Three years later, he made his first appearance on the Ellen Degeneres show. 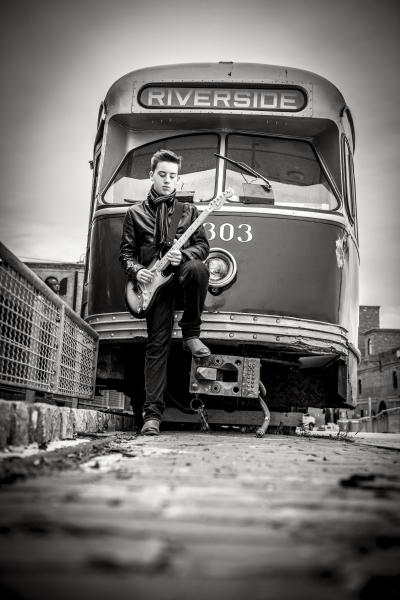 A year after that, he had his first encounter with Buddy Guy — it was the start of a vibrant apprenticeship. With a legend backing him, the young prodigy went on to play with B.B. King, Eric Clapton and other music greats. The duo talks about this high-powered alliance, their back stories, inspirations and hopes for the future, in a relaxed dialogue with Verve. You first got interested in music at a very young age. How did that happen? Do you remember the first song that you played? 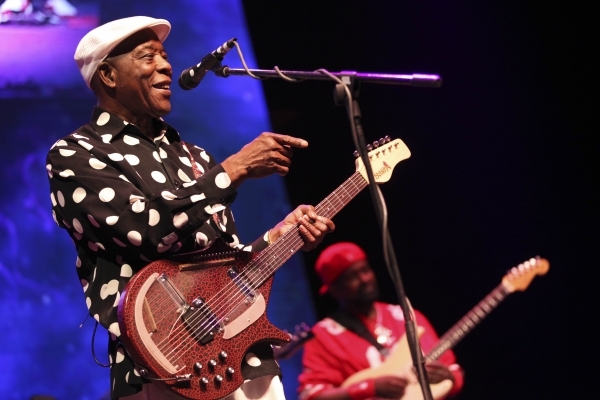 You’ve met and played with some of the greatest guitarists of our time, but it all started with that first meeting with Buddy Guy. What was that like? “Oh, it was nothing short of amazing. Buddy was the first great person I ever met. I live in New Bedford, Massachusetts, and he was playing at a little theatre in my town. After the show I luckily got to go backstage and meet him, and I had my little guitar with me. I asked him to sign it and he did, but when he handed it back to me, he asked me to play a little. I guess he just wanted to see if I could even play. But when I did, he said to me, ‘Be ready when I call you’…and now here we are today, in India! It’s incredible. With all the touring that you do, how do you manage to keep up with school, friends and family? Why, in your opinion, are the blues are still relevant today? Firstly, congratulations on the Lifetime Achievement Award at the Grammy’s! What would you say has been the greatest honour you’ve received? You’ve been here thrice already in the 5 years that this festival has been around. What was the first time like for you? What’s the story behind your trademark polka dots on your Strat and your shirts? If you had to explain the blues to somebody who knew nothing about it, what would you say? Is there anything which your fans may be surprised to learn about you? Do you think the blues are still in good hands today? What were your first thoughts when your heard Quinn play? What message would you like to give to your Indian fans? Don’t miss: our interview with Nikki Hill, Thorbjorn Risager and The Black Tornado and our roundup of the Blues festival. Damn Right, We Got Them Blues!